New for 2014 is our Stunning Red wine bar case complete with wine accessories and a waiters friend presented in a wooden case. Included is a stunning bottle of Australian Shiraz to complete the gift. 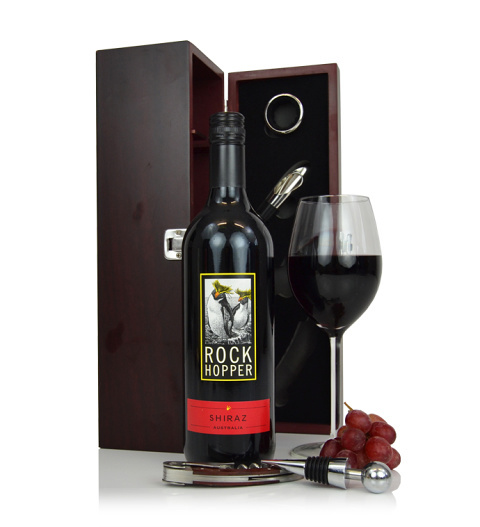 Ideal for those who enjoy wine, this gift is perfect for Christmas this year! The product is available for UK next day delivery.